The man who invented the biggest changes to the fire extinguisher in the last century is celebrating 50 years in the industry this month with his staff members and a Hog Roast lunch. Staff members were delighted to have a half day! Norwich-born Roger Carr’s career began in 1968 selling and servicing extinguishers, then moving on in 1969 to provide engineers to work in the oil industry. 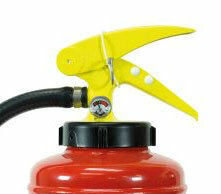 Operating out of premises in Queens Road, U Kwench Fire Production started to repair equipment in its workshop, painting some extinguishers yellow, nicknamed ‘yellow perils’ by staff. Four years later, the company had two divisions, offshore and land-based. In 1973, Roger’s friend John Dyble, joined as his partner and invested in Roger’s new idea for operating extinguishers by squeezing two levers together. Thus removing the old method of banging a plunger. 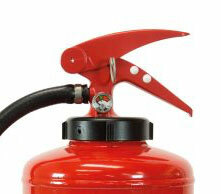 After a long development time, it was finally launched in 1976 with its first production run of just thirty two 4.5kg powder extinguishers, known as the Norfolk Range, which included water, foam, powder and Co2. In 1976, the company was asked to make wheeled extinguishers for Mobil Oil because the London Refinery was about to be expanded. 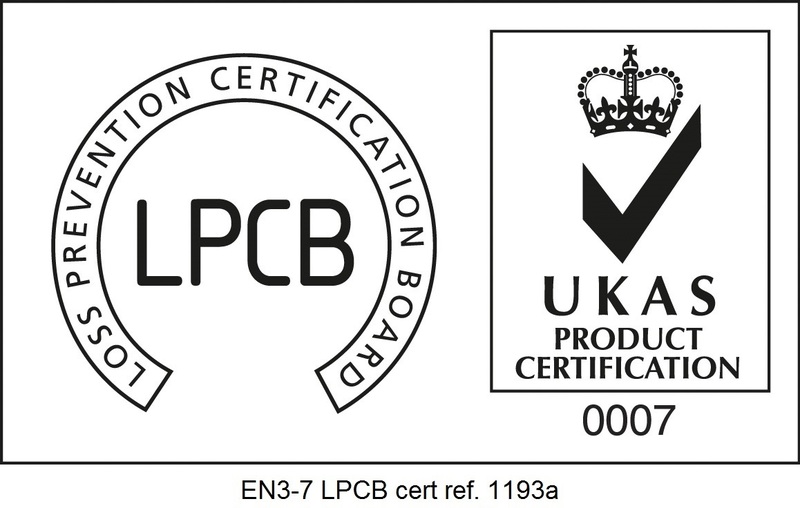 Those products came in two sizes from 50kg to 165kg and are still being manufactured today. Within 10 years, hundreds of thousands of the Norfolk Range had been sold all over the world. In 1980, the company moved to Mountergate, Norwich, and rebranded as UK Fire International. 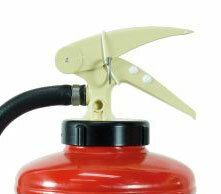 Mr Carr’s next extinguishers were the Key Range, named because it used a locking key to hold the head in place. 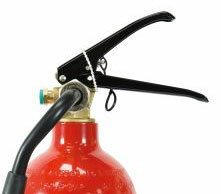 Mr Carr achieved a patent on one of its main features, the balance valve, which controlled the flow of powder from the extinguisher. The Key Range was launched on to the market in 1983. In 1985, Roger went on holiday with a sketch pad working on designing a third range, using the best of the Norfolk and Key Ranges. In the spring of 1986, the Britannia Range was launched, which is still made and sold all over the world today. In 1990, John Dyble retired from the company. By the mid-nineties UK Fire International was growing very quickly and Roger needed to restructure the management by taking on new directors. In 2000 staff levels were at an all-time high of 110, with a multi-million pound turnover selling in the UK and exporting from the manufacturing facility at Ashwellthorpe. In 2006, Roger sold his shares and retired. Shortly after Roger had taken retirement from UK Fire International, his long standing friend Mr. Tan of Eversafe Fire Extinguisher s in Malaysia asked him to become and R & D Consultant to review all their manufacturing products. Roger spent a considerable amount of time in Malaysia and this is where the P50 idea was born. By 2009 UK Fire International was in trouble. In October a receiver was appointed. Roger bought back the company and renamed it after the highly successful brand ‘Britannia’. In the spring of 2010, the now patented P50 was introduced to the staff. 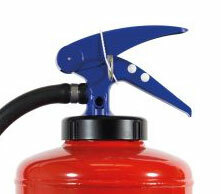 Roger’s biggest invention, the first composite extinguisher in the world! Giving huge savings to customers because of no corrosion and simple maintenance checks by the customer, meaning no need for external servicing company checks! Since its launch nearly a decade ago, more than 700,000 units have been sold to more than 18 countries. Demands for its 6kg, 9kg and 2kg is growing across Europe and the middle East with new markets opening up across the world. Sir Ken Knight, the Government’s former Chief Fire Office and London Fire Commissioner said Mr Carr has effected ‘the most significant change to portable fire extinguishers since their creation in 1902’ and he congratulated him on his achievement.